Florence: East Door, Baptistry. 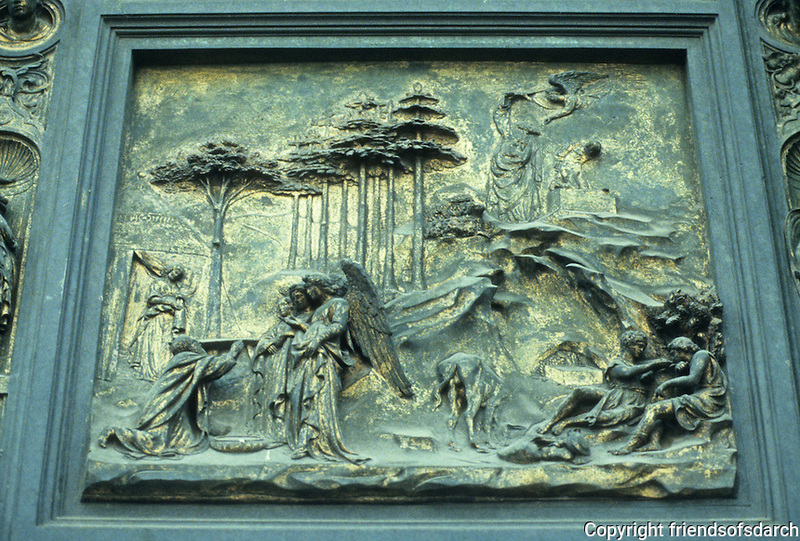 Lorenzo Ghiberti, 1378-1445. Bronze relief of Abraham, the Sacrifice of Isaac. Photo '83.